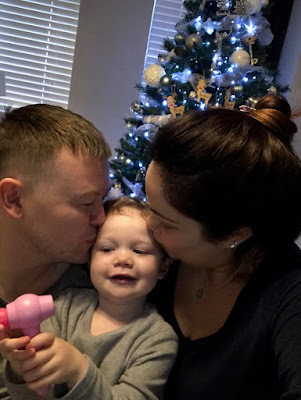 As 2018 draws to a close I just wanted to share a post reflecting on our first Christmas in our own home. This time last year we were so unsure of what the future held for us. We had fallen in love with the estate but we hadn't a clue whether there were any house still available or if we would even get mortgage approval. Fast forward a year and I'm currently sat in my living room, snuggled up on the couch in my pjs with a coffee and my laptop with the Christmas tree and fire lit. I cant help but feel overwhelmingly grateful each day when I sit in this room, this is all we ever wanted, a house to call our home and somewhere we could raise our babies and create amazing memories. 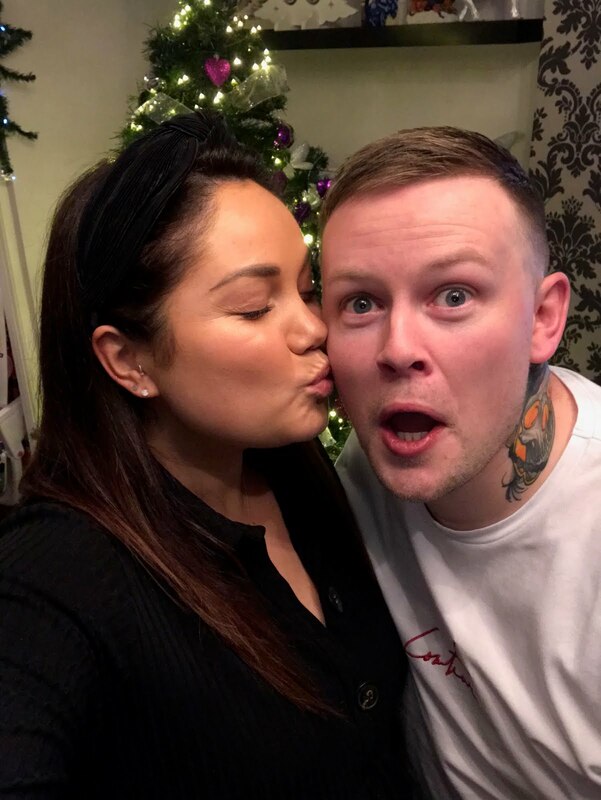 Christmas 2018 was just that, it has been my favourite Christmas to date. 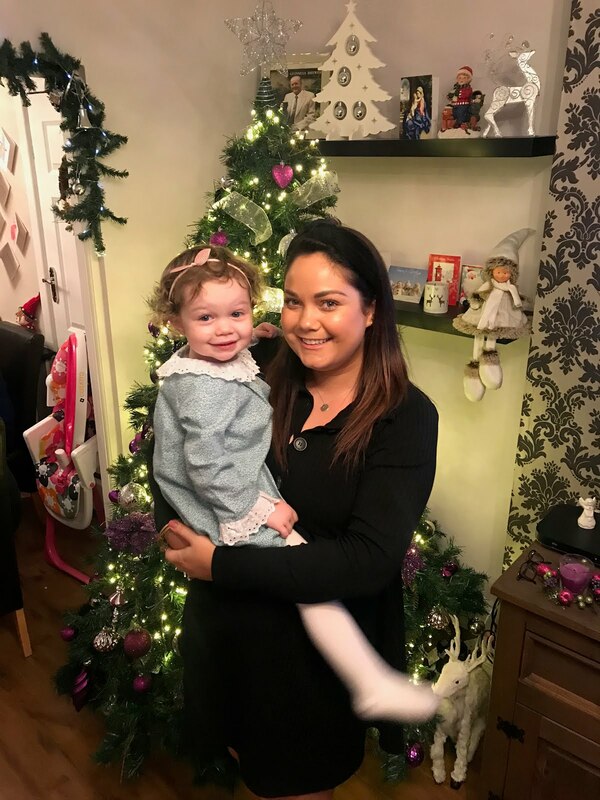 Not only for the fact that we are in our own home but the magic of Christmas is back because Sienna has started to understand it all. We decided to buy our Christmas tree on the 1st of December and going forward that will be our tradition of getting the house decorated. 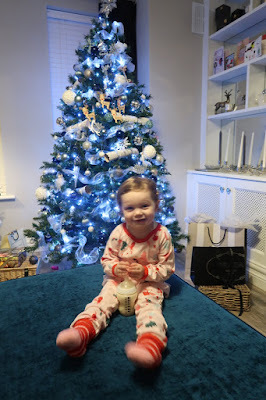 It was so exciting and Sienna loved being involved, although I think she redecorated the tree about 20 times before she got used to having it in the living room. We didn't go traditional with our decorations and we kept them in line with the colour scheme of the house, greys, silver, teal and navy. I absolutely love how the tree turned out and how the rest of the house looks. I understand now why people want to keep their tree up all year. I feel like the house is going to be so bare when it all comes down. Christmas day was a bit different this year, my family all split up and but we did get to see each other for half of the day and the other half I spent with Chris' family. We had Christmas dinner in my mams house on Christmas Eve, it was so nice and it felt like Christmas day. We also hosted Christmas Eve breakfast in our house and put on a spread for my family. They did have to wait until my table was Insta worthy but it was worth the wait and I felt so proud serving breakfast to my family in our new home. It's the little things like that that make me happy. We will also have Chris' family over for New Year's day breakfast so I've another excuse to go mad with the table setting. 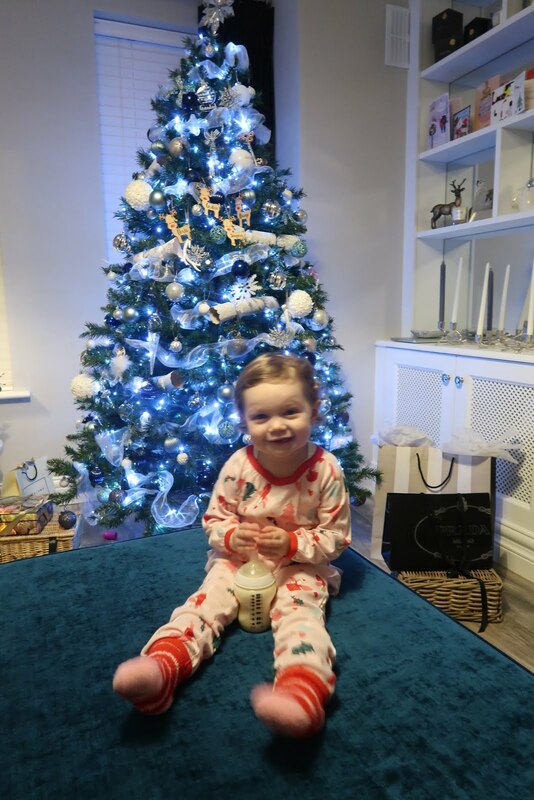 Christmas morning was just magical, seeing the joy and excitement on Sienna's face was amazing. 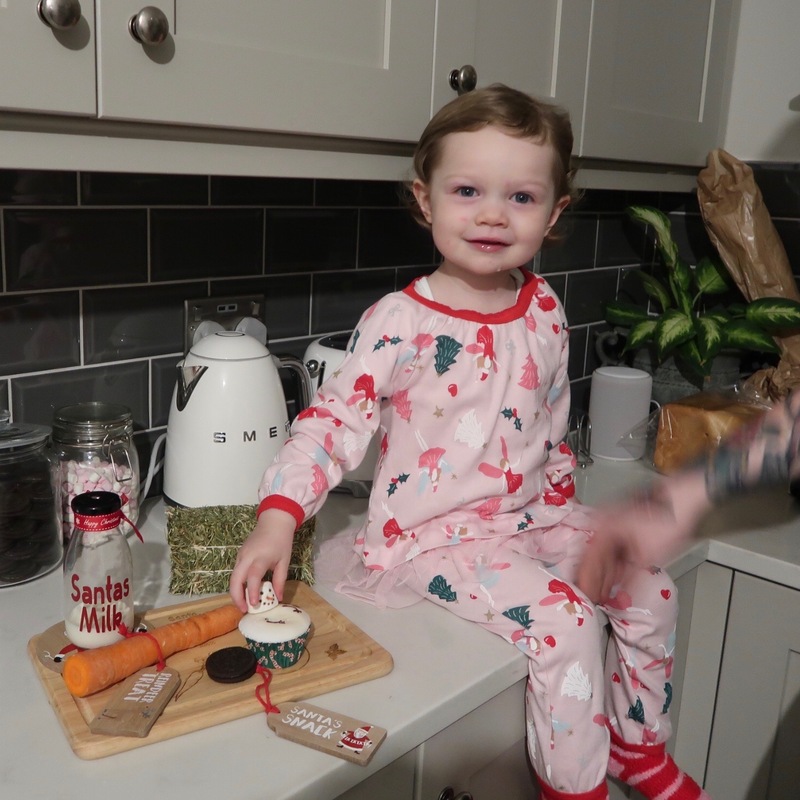 It was so much fun setting up the treats for Santa and watching her as she tried to understand what was going on. We also gave Santa her soothers which I didn't think was going to happen at all but 5 days later and we are still going strong not a susu in sight. It was hard, I'm not gonna lie and there were times on Christmas Eve when I nearly gave in and gave it to her but I'm so glad I persisted. I'm so proud of her for giving them up as she was so dependant on them for comfort. I feel like we've gotten over the hardest part with them now so I don't see us going back to them. Christmas was absolutely magical this year, even the day itself was so calm and peaceful and I jut felt content and happy. I cant wait for next Christmas when we have two little babas to celebrate with. I hope you all had a lovely few days too and spent them with the ones who mean the most to you. Hope you are all well and enjoying the last few days of 2018! Party season is well and truly here, everyone has forgotten what day it is and there are celebrations around every corner. If you are heading out this New Year’s Eve and you are on the hunt for a fab outfit look no further, grab a cuppa and pop one of the gorgeous looks from this post into your basket. New Year’s is such a great time to go for glitz and glam and we will embrace lots of other trends and styles out there at the moment too. 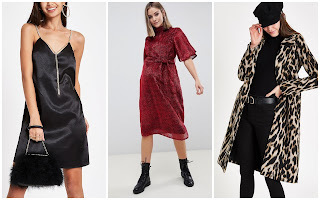 Treating yourself to a new dress for a night out is a great way to kick off 2019 in style so have a flick through and see if there is a look here that is right up your street! 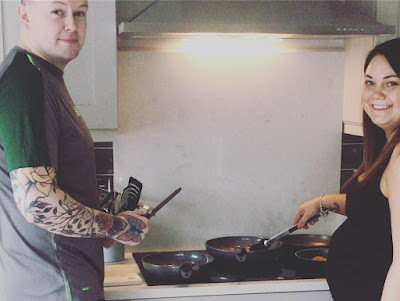 If you are pregnant and dressing a growing bump like I am at the moment, check out this other blog post here specifically for maternity style! Hope you are all enjoying the festive season! If you are still on the hunt for some New Year’s Eve glam look no further. This post is all about you mama’s to be out there who are searching for the perfect New Year’s celebration outfit. The new year is going to change your life forever when your new bundle of joy arrives during the year. There’s no better reason to celebrate ringing in the new year than knowing you will be welcoming a new little person into your life in 2019! If you have plans for New Year’s Eve and you want to treat yourself to a new outfit, this post will hopefully inspire your shopping so you can look and feel amazing. There are gorgeous options in here from flowy dresses to red hot body cons and simple but stylish tops to help you embrace your bump style. Go with the flow - Beautiful flowy dresses in bright, colourful prints will make you feel fab this New Year's! 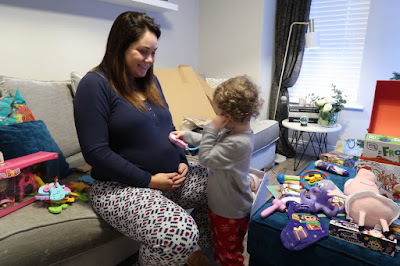 You don't have to shy away in darker colours when you are pregnant, if you feel up to it, a jazzy and bright coloured dress can really make you feel a million dollars! There are gorgeous blues, reds, yellows and greens here to choose from, what is your favourite? Highlight your bump - Tighter dresses that really hug your bump are another great option if you have any glam events! Have a look at these beautiful outfits, particularly the full sequins look which some of you might love. If you dare to wear white there's a beautiful off the shoulder dress here too that really won't break the bank! Jump into your maternity style - These gorgeous jumpsuits can make you look and feel totally glam while actually being super comfortable. Check out the prints, colours, frills and even the small details like buttons that really make the look. 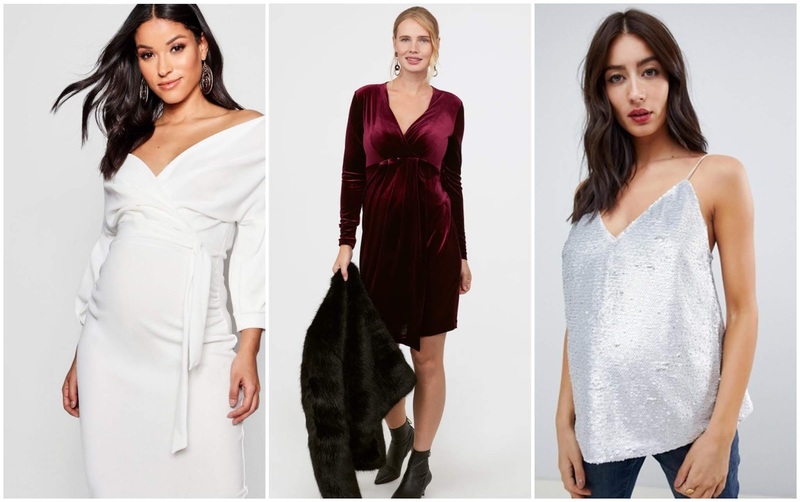 Top off your look - check out these maternity tops, any of them could be paired with your favourite pair of jeans, leather look leggings or a skirt and heels for a glam New Year's look! Hope you are all well and had a lovely Christmas. The St Stephen’s Day sales kicked off today and we are going to have a look at some of the best deals online at the moment! If you love to bag a bargain and you’re in the mood for shopping while enjoying the Christmas leftovers have a look through these best buys and see if you spot anything you fancy! This is the perfect opportunity to find an outfit for New Years or to see if anything you've had your eye on for a while has gone down in the sale. River Island has up to 60% off on some items for adults and kids. There are some fab little black dresses on offer for as little as €18! Check out some of the knits, bags and smart/casual tees too! 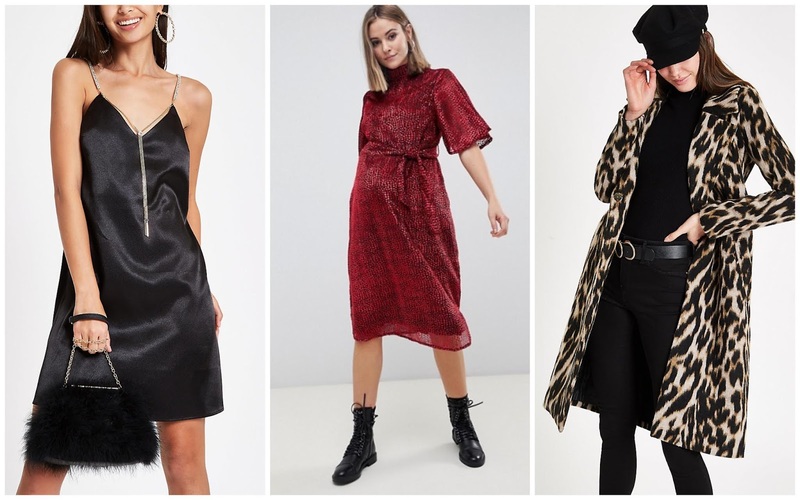 ASOS has up to 50% so prepare to bag a bargain! From biker boots to block heel sandals, there are great shoe options. There's a beautiful maternity dress here for €30 and a pretty striped maternity top for just €11! Boohoo has up to 30% off a large selection of clothes from dresses to jackets, casual tops to the perfect 'jeans and a nice top' look, there is a good selection on offer today! Maternity sale - Here are some fab bits for all you mama's to be out there! If you are on the hunt for an occasion dress or just feel like your everyday wardrobe needs a little update as you grow, here's your chance to treat yourself during the sale! 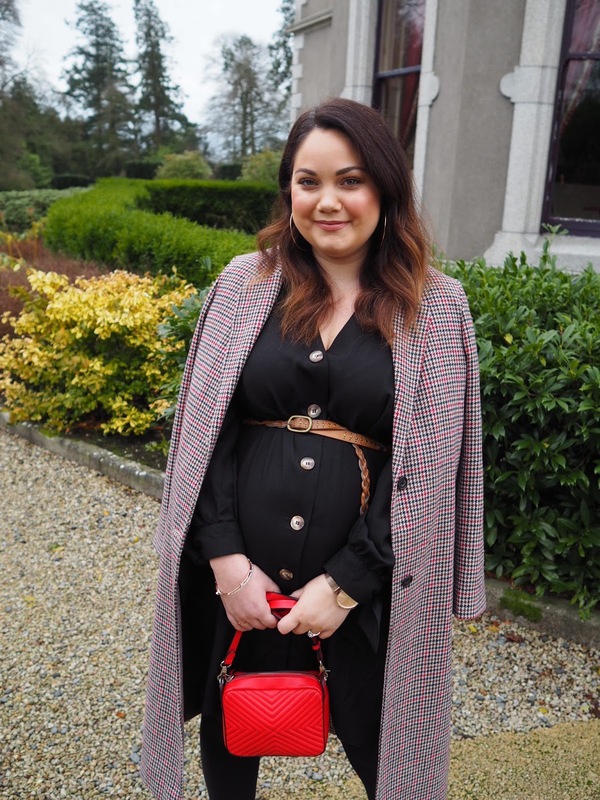 See a full post about festive maternity style here. 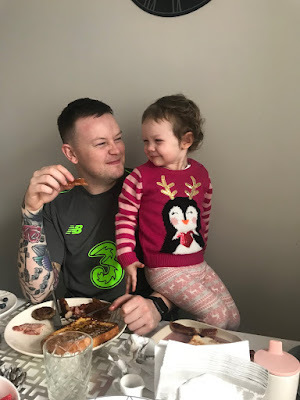 I was recently invited down to enjoy #KillasheeChristmas at the Killashee House Hotel in Kildare. If you follow me on Instagram (@facesbygrace23) you would have seen just how stunning the hotel and the grounds are. My brother got married there and myself and Kips enjoyed our baby moon there when I was in my second trimester of pregnancy on Sienna. Festive maternity party wear and a Christmas gift guide for Mamas! I hope you are all busy enjoying the festive season! As we all know, this time of year means party season and the party doesn’t stop when you’re pregnant! This blog post is going to inspire and guide you through some festive party wear options for any mamas to be with gorgeous maternity style for whatever stage of your pregnancy you are at. 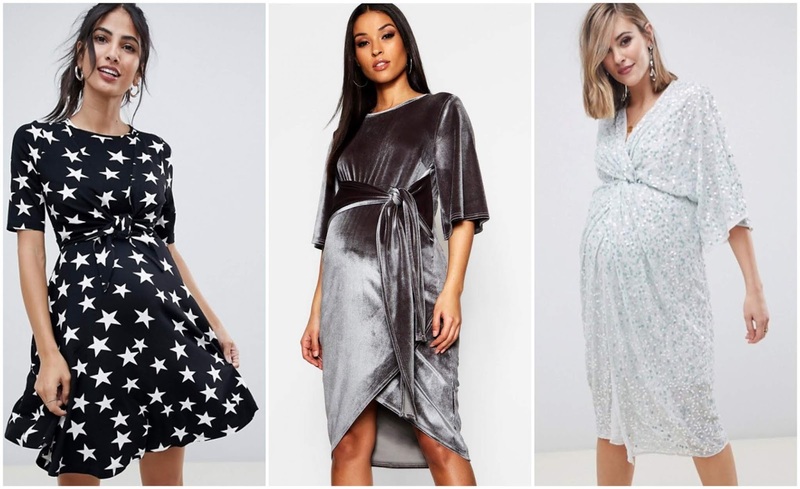 This is all about enjoying dressing your bump and feeling great while looking super stylish for a big night out or any glam event you have coming up. I have also created a beautiful gift guide (at the end of this post) for any mamas out there. These gifts are perfect to help any mum or mum-to-be to pamper and treat herself before facing into the new year and a new bundle of joy!